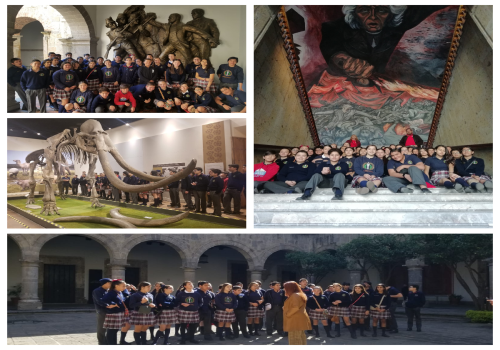 In order to promote the cultural and historical knowledge of Jalisco, the 8th grade students had a guided tour around the Historic Center of Guadalajara. The purpose was for the students to meet renowned personalities, facts of the state and the world. The students visited the Government Palace, the Regional Museum of Jalisco , Plaza de la Liberación and Cabañas Cultural Hospice. In addition to knowing part of our history and culture, the students achieved a healthy coexistence as a group.